Believe it or not—Terry Frost’s first “performance” was reciting poetry in a house of prostitution. Seems most who frequent such establishments are not there to listen to poetry, but that is what Frosty claimed. 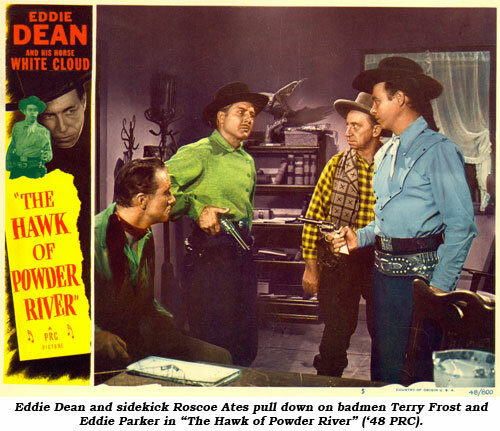 Terry Lawrence Frost was born October 26, 1906, in Bemidji, Minnesota, a northern Minnesota logging town. 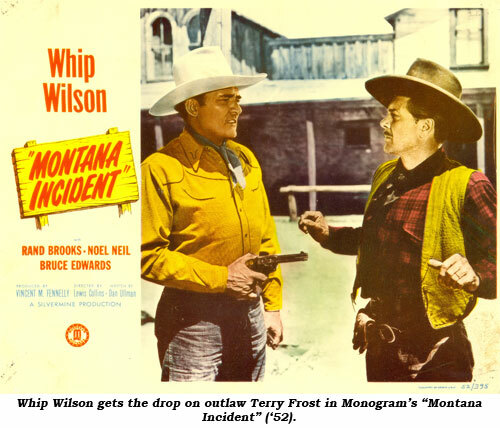 His father, Frank Frost, a one-time lumberjack, also owned a “saloon” where Terry sold newspapers and recited poetry. Terry’s mother was Minnie Williams. With the advent of prohibition in 1919, Terry’s father went from being a successful barkeeper to a flourishing bootlegger. His untimely death a few years later created an economic burden for the family while Minnie struggled as a seamstress. So, upon graduation, following the example of his older brother, Terry struck out for the open road. Arriving in Oregon by freight car, he was completely broke. Offering to do odd jobs in a local brothel, he was given a place to eat and sleep. With his great memory for poetry, Frost nightly provided interpretations of well known pieces such as “The Ballad of Yukon Jake”. According to Frost, he “kept waiting customers occupied while the girls were busy.” He set out a bowl and was allowed to keep all the donations he collected. Frost actually did the same in houses of ill repute in Spokane and Seattle before returning home with a nest egg of $7,000. Employed in yet another whorehouse in Minneapolis, a local stock company producer threw a party, asking Frost to entertain. The producer was impressed and cast Terry as a drunken bum at $35 a week at the Shubert Theatre. However, he maintained his “other” job as it was by now earning him $200 a week. For years Terry traveled throughout the midwest in stock companies and vaudeville shows. When his wife, a dancer, became pregnant, Terry decided to try settling down as a movie actor. At first his film aspirations failed and he opened a restaurant, Terry Gene’s, on Wilshire Blvd. Eventually, his agent began to find work for him in westerns. 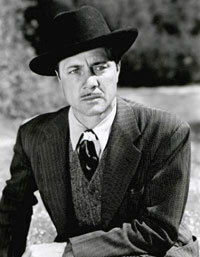 Regarding the person who helped him on his first film, Terry said, “He was a very friendly person, so I got to know him on the first day, and I said, ‘You know, I don’t know a thing about motion pictures; I’m from the theatre…can you help me?’ Well, he helped me all week in the first motion picture I made—(it was) Ray Whitley.” The film was Tim Holt’s “Cyclone On Horseback” (‘41). 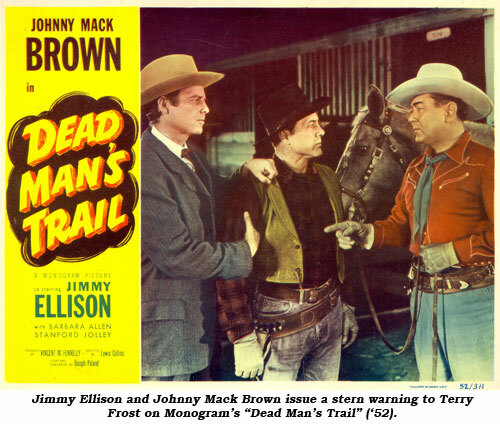 Frost worked in 15 serials for producer Katzman, with good roles in “Hop Harrigan” (‘46), “Jack Armstrong” (‘47), “Tex Granger” (‘48), “Superman” (‘48), “Bruce Gentry” (‘49), “Pirates of the High Seas” (‘50), “Mysterious Island” (‘51), “Great Adventures of Captain Kidd” (‘53), “Gunfighters of the Northwest” (‘54) and “Perils of the Wilderness” (‘56). In the ‘60s as film parts faded away, Frost turned to teaching, conducting a drama course at Patricia Stevens Career College in Pasadena for a year. After that he worked for a travel agency as a tour director for nine years, visiting remote parts of the world. In 1973 he elected to spend more time with his wife of 40 years who, unfortunately, died the Christmas Eve following his retirement. Frost next put together a handbook for aspiring actors, ACTORS ONLY, published in ‘77. He then did eight or ten stage shows including a tour of “Come Blow Your Horn” with Sylvia Sidney along the east coast into Canada. On November 20, 1983, Terry married former actress Marion Carney who appeared with him at several western film festivals in the ‘80s and early ‘90s. Terry died as an in-patient at Valley Medical Center in Los Angeles March 1, 1993, of congestive heart failure. He was 86. His remains were cremated and scattered around his birthplace.